Thank you for those posts. 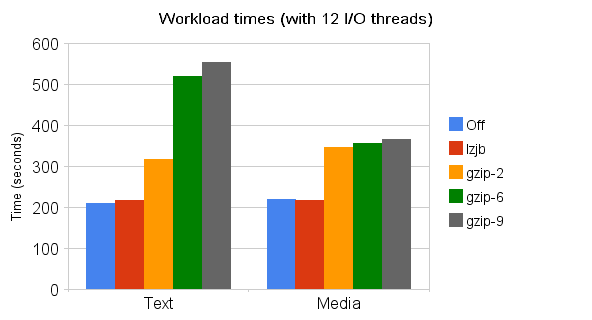 Always interesting to see stats about Fishworks and ZFS. By the way, you should refrain from drawing charts that do not start (Y axis) from 0. 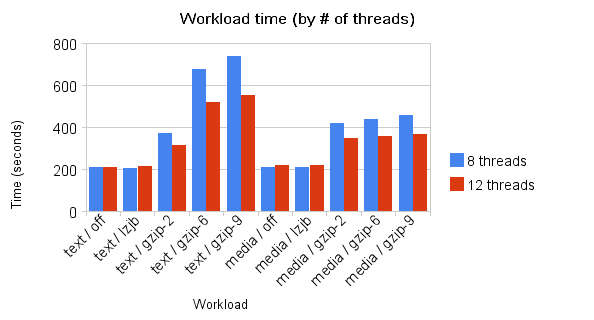 At first glance, it seems that compression multiply big times workload: We should see a 209/316 (x1.5) difference between off and gzip2 in the chart but it’s drawn like a 9/116 (x13 !) difference. @Deluxe: Good point. I’ve updated the charts to start at 0.